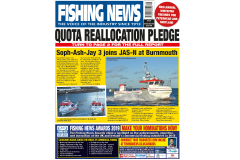 Kent skipper Dave Tart caught a very rare Atlantic shade-fish last week, when fishing on the inshore boat Julie Jean FE 380, just one mile east of Dungeness, reports David Linkie. Initial research showed that only three records for Atlantic shade-fish have previously been reported in the UK. Argyrosomus regius is usually found in the eastern Atlantic, from Norway to West Africa, including the Mediterranean Sea and the Black Sea. It has colonised the Red Sea by migrating through the Suez Canal. The three main spawning sites in the North Atlantic and Mediterranean Sea are the Nile Delta, Lévrier Bay and the Gironde estuary. Large numbers of adults congregate at these sites between May and July. 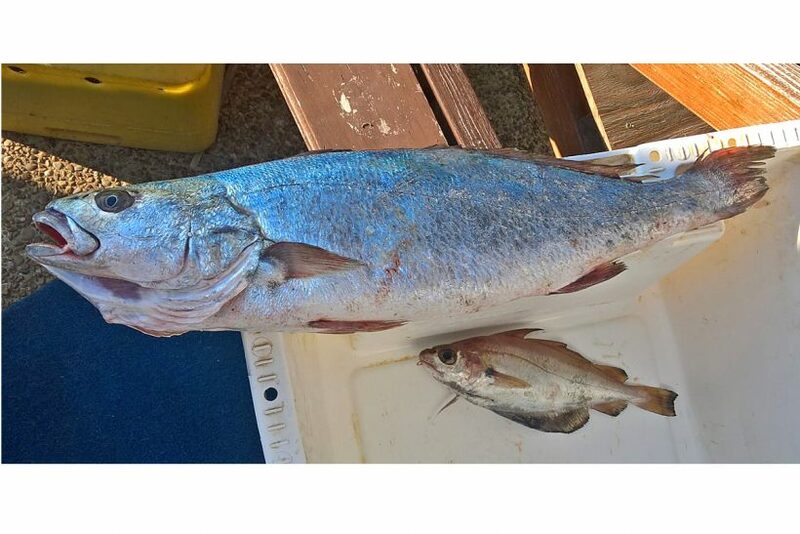 The main commercial catches of Argyrosomus regius, caught by a combination of trawls, longlines and handlines, are currently landed in Mauritania, Morocco and Egypt. Catches in these countries account for over 80% of the annual world catch of around 10,000t. 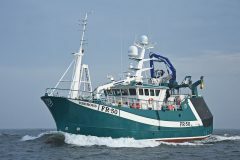 The European fisheries are comparatively small, and are on the Atlantic coasts of France, Portugal and Spain, with annual catches of 800t, 400t and 150t respectively. Atlantic shade-fish Argyrosomus regius resembles a bass in form, with a pearly-silver colouration, but is different in many respects, including a salmon-coloured mouth, nine rays on the first dorsal fin, and distinctive large scales, with every fourth scale set at a different angle. They can grow to 2m in length and 50kg in weight. The swim bladder contains several branched appendages, which are vibrated to make a grunting sound that can be heard from up to 30m away, and this grunting is produced by the males during the spawning season.